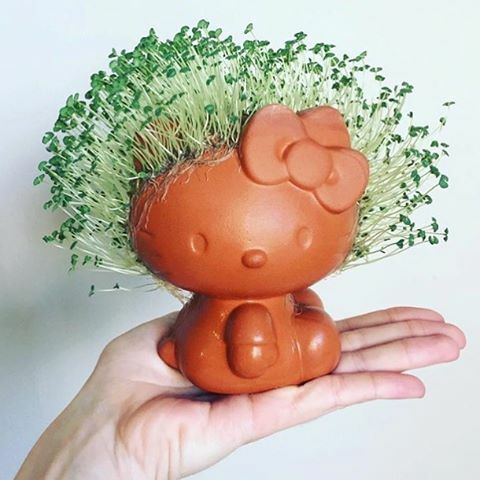 Mmmhmmm… these are the same CHIA seeds that magically sprout glorious green fur/hair/grassy-things on those terracotta figurines we all know and (sorta) love! However, don’t start snacking on your Chia Pets just yet because apparently they’re not approved for consumption. Alright, enough of that… ready to create some happiness? Pour into jar or glass container, cover and place in refrigerator for at least 4 hours (preferably overnight) to let seeds gel. Serve with fruit, nuts, coconut flakes, drizzle chocolate, nut butter, or fruit sauce... whatever you want!